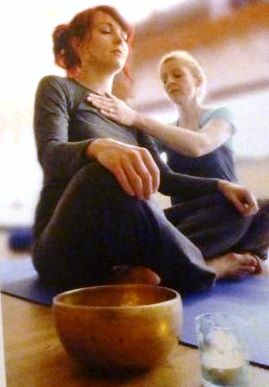 The course is suitable for suitably qualified professionals – massage and body workers, energy therapists, yoga teachers, caring professionals, health care professionals or chaplains who have a personal and professional desire and commitment to offer healing and therapeutic touch to people living with cancer or life limiting illness. The course may also be suitable for non-professional carers who wish to offer healing or therapeutic touch in a non-professional capacity for friends or loved ones. Heart disease. COPD. Neurogenerative Disease. The importance of touch in healing. The application of touch. Ways of touch. Energy Healing – Centring and protection. Channelling energy. Basic hand positions. Contraindications and cautions. Asking for permission. The course involves 25 teaching/contact hours including attendance of the intensive and email or skype meetings with the course tutors(s). The students’ contributions to the course will be informally and formally assessed through group discussion, practical exercises and teaching practice. An estimated additional 10 hours of reflection and written work and 15 hours of personal practice are encouraged. Personal experience is at the heart of our teaching methodology. We encourage students in an intimate relationship with their own breath and bodies and to really feel and understand what is going on as they engage in the various practices. In total the course is worth 50 hours of training. They will also be encouraged, in dealing with the subject matter of the course, to reflect on their own personal experiences of issues such as illness, fear, death and bereavement. They will also be encouraged to examine how touch impacts them on a personal level, and its importance in health and wellbeing. Through reflection they can be sure that they are making appropriate choices, because they will understand, directly or empathically, how the other person feels. Following the course, students will be require to complete a three month (minimum) self- internship during which they will complete three x monthly written assignments and complete three individual case studies. Certification will be awarded on successful completion of all course assignments, and through observation by the course tutor(s) during the practical component of the course, The course is accredited by the CMA (Complementary Medical Assocation) Certification will allow the practitioner to join the CMA and to obtain insurance via Balens. The cost of the course, including the three day intensive, internship , assessment and certification is £325.